Leading Chinese 3D printing technology manufacturer Zhuhai CTC Electronic Co. has announced that they are launching new OEM (Original Equipment Manufacturing) services for their high-precision stereolithography (SLA) technology. The goal of their new services will be to widen the number of available 3D printing applications available for the consumer-grade desktop 3D printer market. 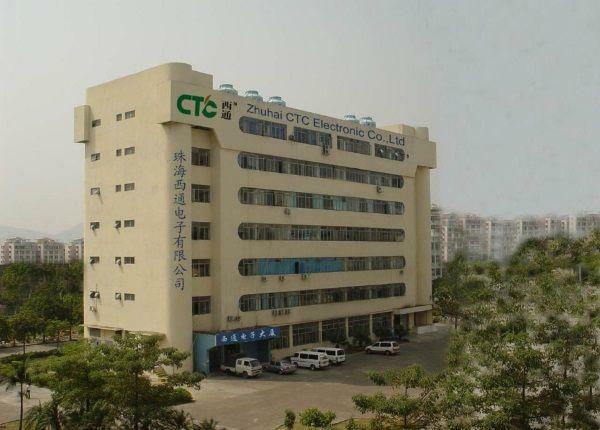 Zhuhai CTC Electronic will offer support, customized software services and cooperation agreements with companies looking to develop their own SLA 3D printers. They have already made development deals with several companies in Japan, the US and Germany. This is the first time that a company in the 3D printing industry will offer OEM services for SLA technology. CTC Riverside 500 SLA Industrial 3D printer. Zhuhai CTC Electronic is one of China’s fastest growing 3D printer manufacturers, and they currently sell the second most popular desktop SLA 3D printer. In 2015 alone they have shipped more than 25,000 3D printers all over the world, including their popular Riverside SLA 3D printer. Currently Zhuhai CTC Electronic holds more than 10% of the global 3D printer market, the highest share among any Chinese-based 3D printer manufacturers. The Zhuhai-based company also offers a full line of FDM 3D printers and China’s first line of industrial-grade metal 3D printers, the CTC Walnut. Additionally, they are currently in the process of developing an inkjet-based 3D printer. “Despite low printing stability and quality, FDM printers are only affordable in a less mature market. As the 3D printer market evolves, high-precision SLA printers are becoming the first choice among customers. We are pleased that we have the opportunity to share our 3D printing technology with peers in a bid to contribute to the upgrade of desktop printers,” explained He Siyi, the head of PR at Zhuhai CTC Electronic. While the desktop FDM 3D printer market has slowed down slightly in late 2015 and early 2016, global sales are still on the rise. However, rapidly dropping prices have led to a low barrier of entry for FDM 3D printer manufacturers, leading to cut-throat competition that has already forced 3D Systems and their Cube out of the market entirely. The tightening market also caused Stratasys to scale back their manufacturing facility in Brooklyn, New York when their 2015 numbers came in lower than expected. MakerBot recently began outsourcing most of their 3D printer assembly and production to global contract manufacturer Jabil, widely seen as a move to lower the costs associated with remaining in the consumer-grade 3D printer business. The Form 2 SLA 3D printer from Formlabs. While the 3D printer market is flooded with low-cost FDM 3D printer options, with dozens of models available for less than $1000, sales for SLA 3D printers continue to grow. With the release of their desktop Form 2 SLA 3D printer, Formlabs has continued to see their sales grow. However, the Massachusetts-based company is one of the few who offer the high-quality SLA technology to consumers. Because there is only a small number of SLA 3D printer applications available in comparison to FDM, most 3D printer manufacturers are unable to offer quality SLA technology, something that Zhuhai CTC Electronic sees as an opportunity. “We will continue to provide our partners with core technologies including dot-scan software consistent with SLA, SLS and SLM technologies. We initiated the development work for dot-scan software in 2010. RiverOS, the next-generation dot-scan operating system we launched in 2015, outperforms its global counterparts in terms of features and algorithms,” continued He. There is clearly a strong desire for more SLA options, however there are less options available and, most crucially, less competition, so prices remain high. Zhuhai CTC Electronic believes that by offering their SLA OEM services they can lower the cost of developing SLA 3D printers and bring more desktop application options to the consumer 3D printer market. They are holding up their impressive 300% increase in sales thanks to their Riverside SLA 3D printers as proof that the market is looking for new 3D printing applications. Their new OEM services are intended to encourage new and established FDM 3D printer manufacturers to begin exploring SLA technology. Discuss further in the CTC Electronics New OEM Services for SLA 3D Printing forum over at 3DPB.com.